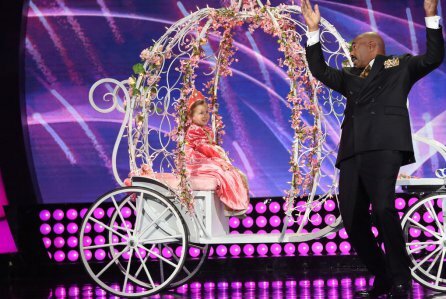 2 Episodes In, Steve Harvey’s ‘Little Big Shots’ Looks A Certain Hit! What happens when Steve Harvey teams up with Ellen Degeneres? That’s a trick question! Steve Harvey’s magnetic personality and wit are the driving force of the newest reality show on television! ‘Little Big shots’ is a reality TV show for children and just two episodes into first season, it is gaining positive reviews! It has done so well that NBC has scheduled the show for a 13 episode second season! Here’s an episode highlight to show you why it’s so awesome. A Baby For Ellen DeGeneres & Portia de Rossi?